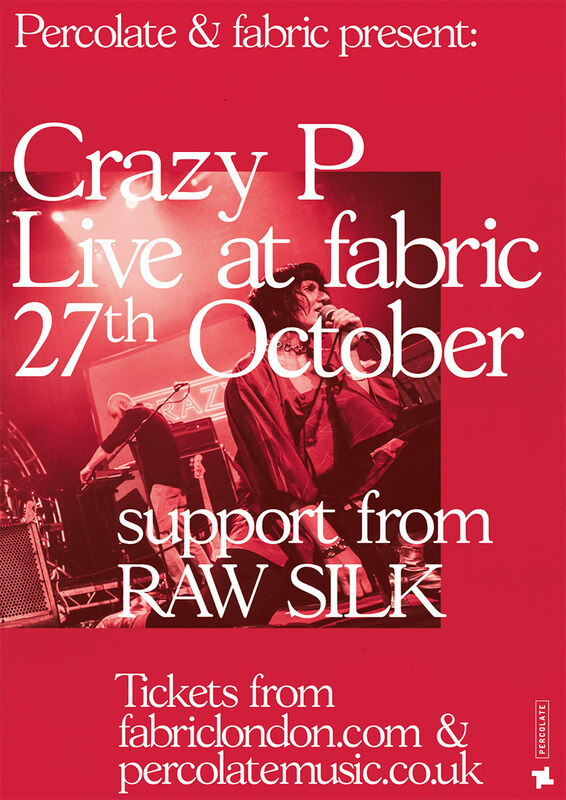 Homegrown disco heroes Crazy P are returning to London in sparkling full live band glory this October. Following sold out headline gigs at Hangar and Oval Space, plus killer performances at Camden’s Roundhouse & GALA Festival – the P will be taking on fabric’s legendary RM1, seventeen years after their Farringdon debut. Straddling shimmering groovy pop goodness and the throbbing of the disco underground – the sound of the P in full flow is something to behold, and we’re damn excited to witness it on one of the best sound systems on the planet. Support comes from disco diggers RAW SILK who’ll be celebrating the fabulousness, the freeness and the naughtiness of disco past and present.